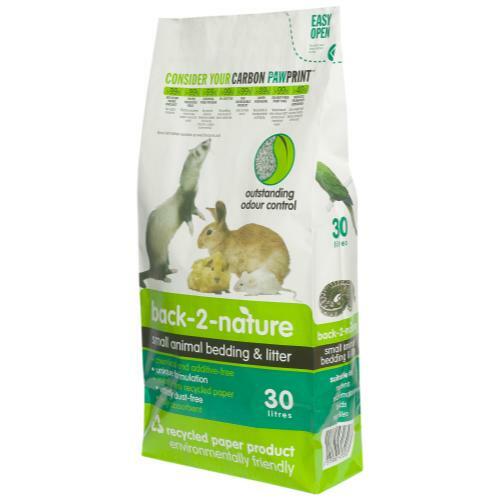 Fibrecycle Back 2 Nature Small Animal Bedding is a lightweight and highly absorbent bedding substance that can also be used as an effective litter! These pellets have been uniquely formulated from more than 99% recycled paper, with absolutely no additives or chemicals. It's soft on delicate paws and is low tracking tracking, and if there is a spill it won't mark floors either. Suitable for rodents, mammals birds and reptiles, it's lightweight and virtually dust free!